Can Guayusa Tea Give You Balanced Energy? For those seeking an all-natural pick-me-up, an herbal infusion called guayusa is fast becoming the drink of a choice. Often marketed as an alternative to coffee and energy drinks, caffeine-rich guayusa is said to provide a powerful energy lift without causing you to crash later on. Guayusa is also touted as a top source of antioxidants, vitamins, and amino acids. In addition, it contains such chemicals as theobromine (a substance also found in cocoa and thought to offer mood-enhancing effects). Over the past few years, guayusa products have begun popping up in natural-foods stores and in cafés around the U.S. But in Ecuador, locals have long sipped guayusa in order to increase their alertness, especially while working. In fact, certain native tribes refer to guayusa as “the night watchman,” since the drink is sometimes used to help people stay awake through the night. Like yerba mate, guayusa is made from the leaves of a holly tree native to the rainforests of South America. While yerba mate comes from the Ilex paraguariensis plant (found mainly in Argentina), guayusa is sourced from a plant called Ilex guayusa (most commonly found in Ecuador). Another key difference between guayusa and yerba mate: the flavor. Unlike yerba mate, which can bear a somewhat bitter taste, guayusa is regarded as smooth, earthy, and slightly sweet. Frequently referred to as a “clean” source of caffeine, guayusa is said to offer a “balanced energy.” Proponents claim that compounds found in guayusa promote a slow, steady release of caffeine and—in turn—help prevent caffeine-related side effects and stave off energy crashes. However, there’s currently a lack of scientific support for such claims. Although the caffeine content can vary greatly according to the way it was manufactured and brewed, the caffeine in one cup of brewed guayusa is said to be comparable to a cup of coffee. Although it’s perhaps most commonly used as an energy-booster, guayusa is also said to offer an array of health benefits. For instance, some proponents suggest that sipping guayusa on a regular basis can reduce your risk for diabetes and heart disease. It’s also suggested that drinking guayusa can help promote weight loss. At this point, we know very little about how drinking guayusa might influence our health. So far, most of the claims for the drink’s health effects come from anecdotal evidence. The very limited research on guayusa and its potential health benefits includes a preliminary study published in the journal Diabetes Research in 1989. In this study, scientists tested the effects of 12 types of plant extracts on diabetic mice. Results revealed that treatment with guayusa extract helped regulate blood sugar levels and reduce body weight. Despite claims that guayusa triggers none of the side effects commonly associated with caffeine intake, overdoing it on any type of high-caffeine product can have a negative impact on your wellbeing. For example, consuming too much caffeine can aggravate conditions like anxiety and insomnia, as well as cause dehydration, headaches, and abnormal heart rhythms. What’s more, the National Institutes of Health (NIH) warn that pregnant and nursing women should limit their use of caffeine. The NIH also caution that certain drugs and supplements may interact with caffeine-rich substances, such as guayusa. Since guayusa is typically grown on small family farms and cultivated according to environmentally friendly methods, it’s thought that increased demand for guayusa may support sustainability (as well as help farming communities to thrive). A great variety of natural products can give you an energy lift similar to that of guayusa. 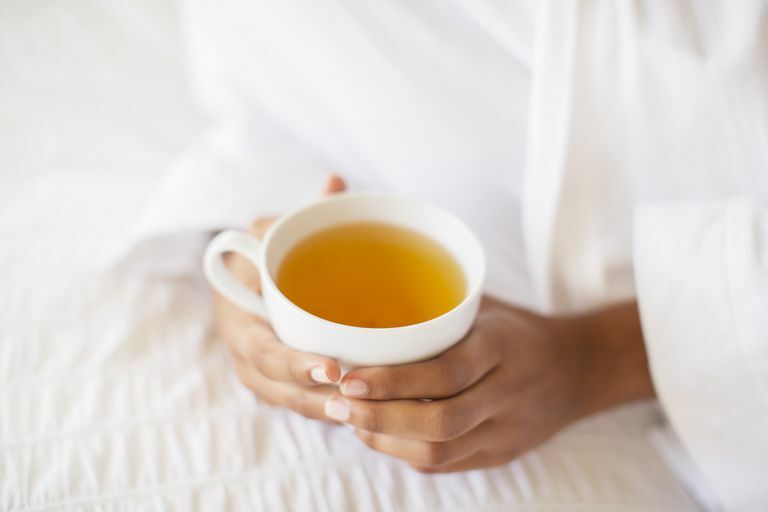 Consider sipping classic teas such as black tea, green tea, white tea, and oolong tea. Unlike guayusa, such teas have been found to offer a number of health benefits, including improvements in heart health. Kapp RW Jr, Mendes O, Roy S, McQuate RS, Kraska R. General and Genetic Toxicology of Guayusa Concentrate (Ilex guayusa). Int J Toxicol. 2016 Mar-Apr;35(2):222-42. Swanston-Flatt SK, Day C, Flatt PR, Gould BJ, Bailey CJ. Glycaemic effects of traditional European plant treatments for diabetes. Studies in normal and streptozotocin diabetic mice. Diabetes Res. 1989 Feb;10(2):69-73.